Every few months I enjoy going somewhere new for a spot of afternoon tea. I welcomed the fashionable come back of Earl Grey, scones and dainty cakes with open arms and set a long term goal to keep exploring and trying different afternoon tea’s in the area and beyond. 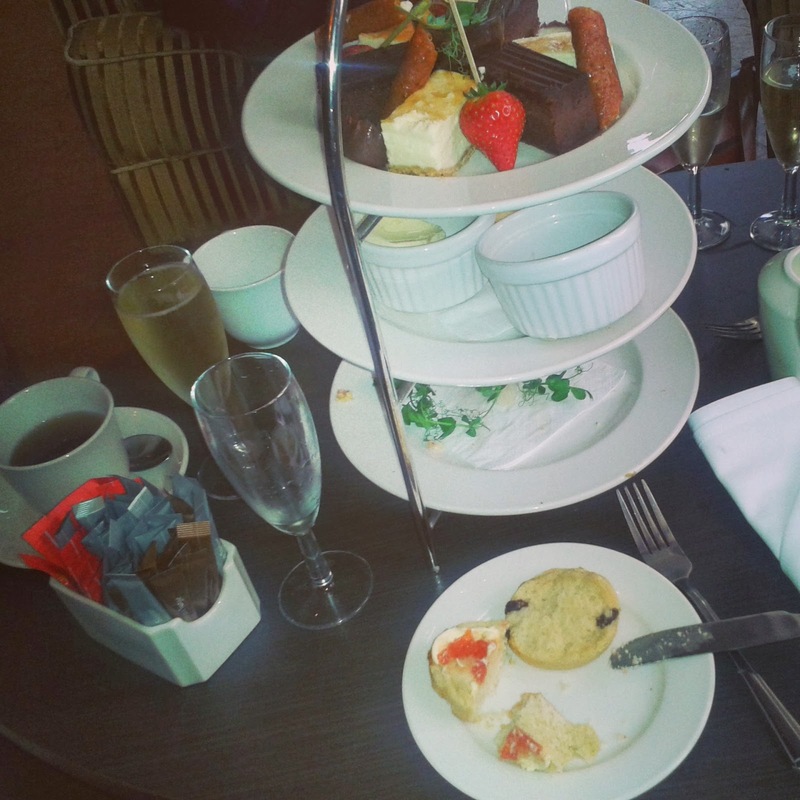 There has been one or two experiences I did not feel where blog worthy but afternoon tea at The Hilton in Cambridgewas well worth sharing. Firstly if you’ve never visited Cambridge then put it on your ‘To do list’ – There are cobbled streets of amazing shops including ‘Chocolat Chocolat’ who serve the most incredible chocolate shots and truffles and ‘Hartleys’ old fashioned sweet shop. Not forgetting that the incredible buildings, bunting and culture makes it a very visit worthy place. The Hilton is based near the river in the town centre which allows cost effective parking should you wish to go shopping after and a lovely area to be seated outside if your fortunate enough to visit on a day that the weather allows such luxury. We chose to have a more relaxed affair and sipped champagne whilst listening to the piano on huge sofa’s rather than in the dining area. 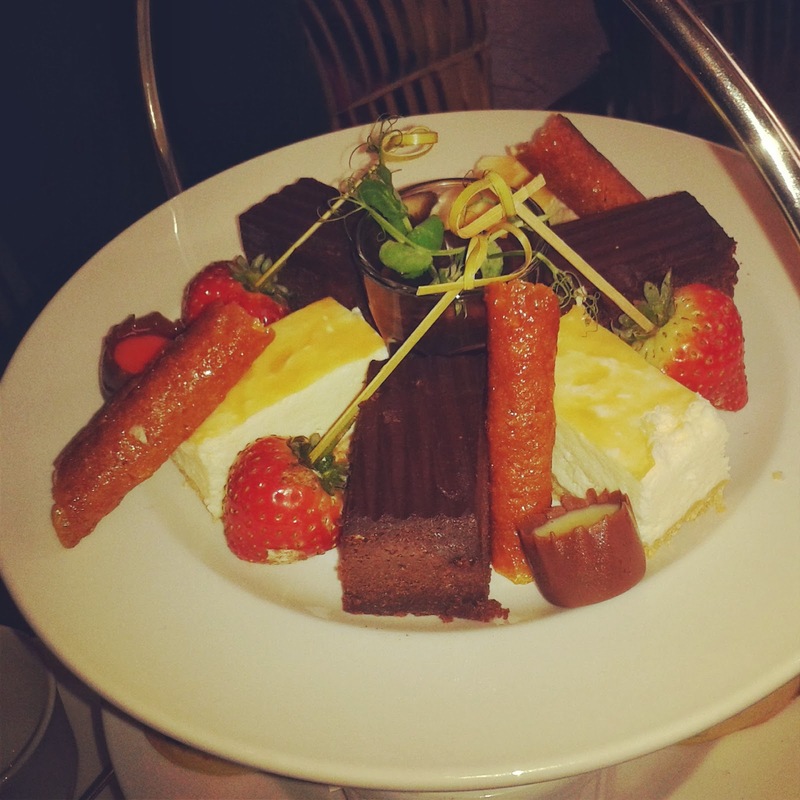 Whilst this was not the largest portion of afternoon tea I’ve ever been served the quality and service was excellent. Our drinks and food where with us in 5 minutes which was pleasing as I was absolutely ravenous and we found the staff very friendly and helpful (Even when I decorated myself in champagne – Not on purpose mind). If I’m honest sandwiches where the only thing that let the spread down for me as they where tiny but that did not stop us demolishing them with lightening speed. The scones where crisp on the outside and soft and slightly warm inside (so very important when serving the ideal scone). 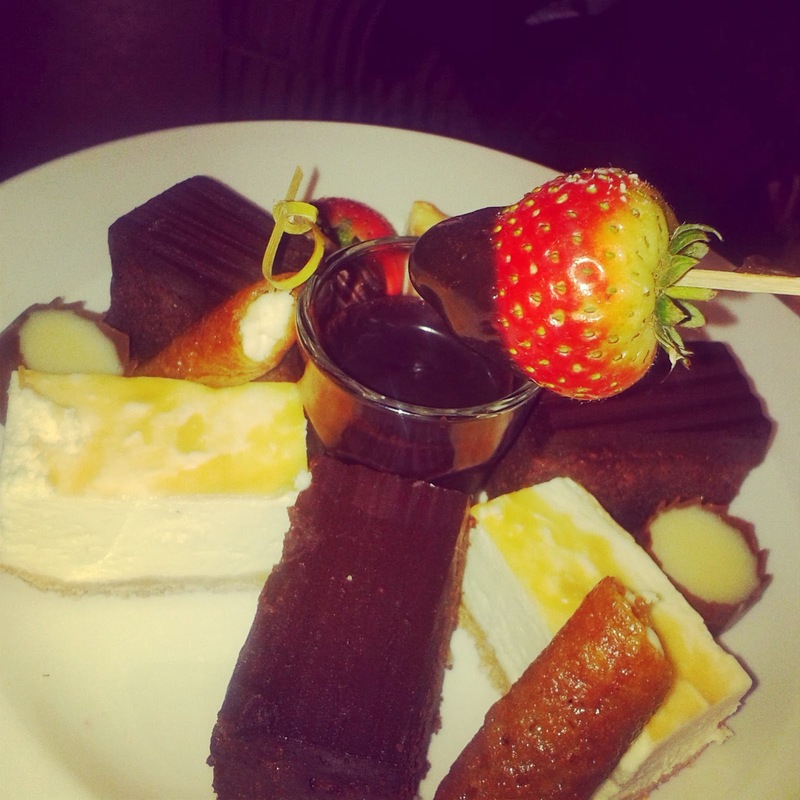 My favourite layer was the top with dainty chocolates, strawberry’s to dip in a dark chocolate sauce, a New York cheesecake slice and a melt in the mouth chocolate slice. 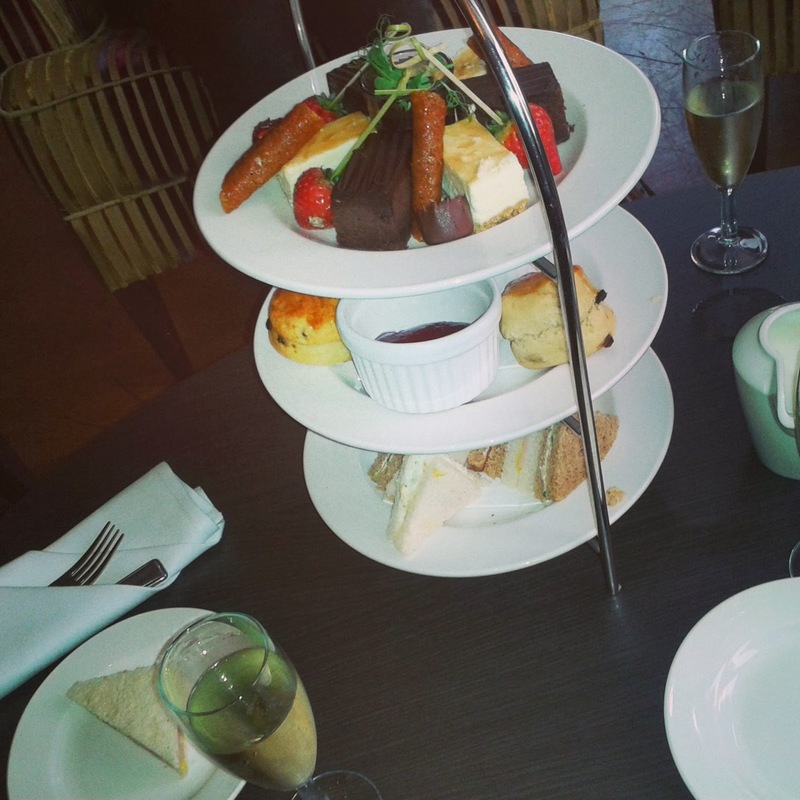 Have you been anywhere wonderful for afternoon tea lately?